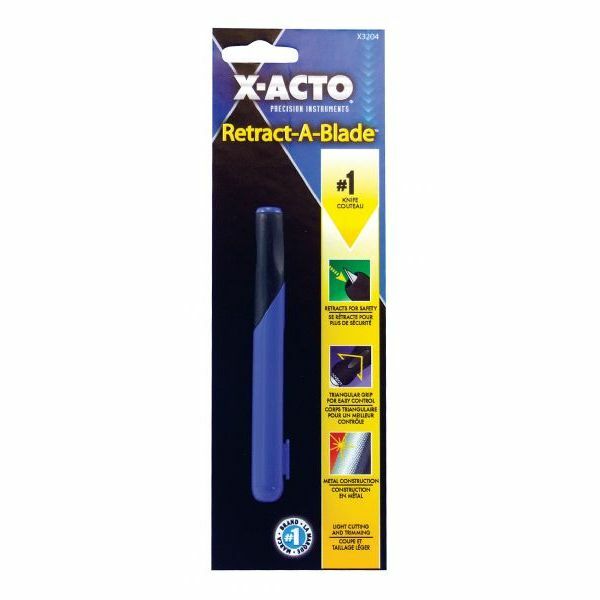 The first X-Acto knife that has a fully retractable No. 11 blade. Retractable feature provides additional safety and portability, with easily replaceable blades. Soft comfort grip provides extra control. Use for delicate precision cutting, trimming and stripping of paper, plastic, balsa, thin metal, cloth, film, and acetate.